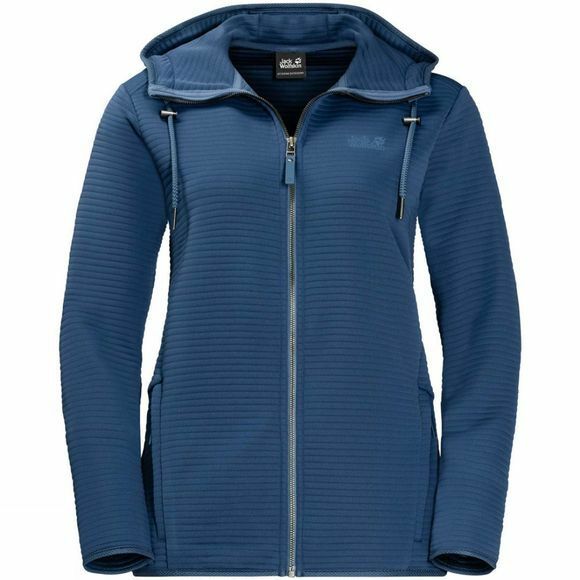 Picture the scene: walking barefoot through the dew-soaked grass, enjoying the cool, fresh morning air, snug and warm in your Womens Modesto Hooded Jacket . This jacket feels smooth and comfortable to wear, and it looks great too. The fleece fabric is extra breathable and has stretch properties for full freedom of movement. 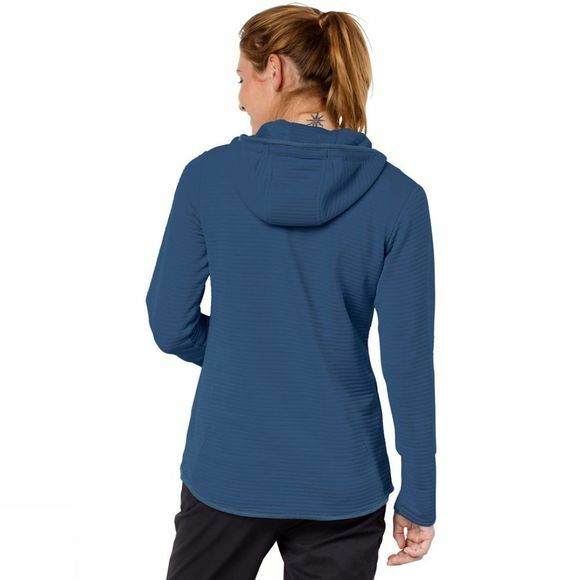 The fleece has a stylish ribbed structure, and if you work up a sweat, it dries fast and reduces unpleasant odours.